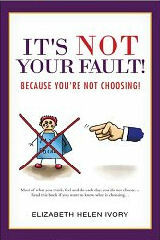 It's Not Your Fault! - Because you're not choosing! It's your permission to feel good about not feeling good...in our society we've made it not alright to feel not alright and that's not alright! This book is the missing ""HOW""
This is a physical book that will be shipping to you once you place your order.